As some of our regular viewers will have noticed, not many posts have been appearing. The LAB has been busy though. A period of light fixation grabbed us. 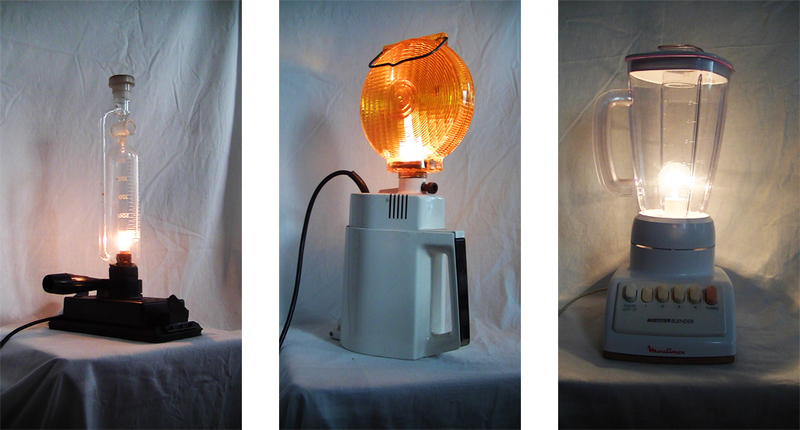 The usual materials, recreated into … lamps, or at least light giving things. Some of them may not be good for reading by.